"You don't have to sort of enhance reality. There is nothing stranger than truth." Possessing a selective eye that can transition between pop stars, politicians, and royalty Annie Leibovitz has the ability to both critique and celebrate celebrity culture in equal measure, and has created some of the most controversial and popular images of the last 40 years. Inspired by the documentary tradition, but equally comfortable with theatrical staging, Leibovitz's photographs bridge commercial and fine art. She has documented countercultural figures and musicians for experimental publications since the late 1960s, and continued the creative artistic photographic legacy of established magazines such as Vanity Fair. 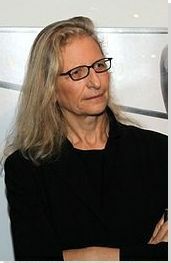 Annie Leibovitz's is best known for her portraiture and her unique ability to exaggerate and enhance the characteristics of her subjects. 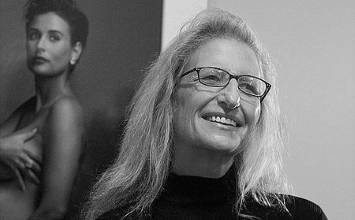 Iconic figures spanning celebrity, creative, and intellectual circles have sought to work with Leibovitz in admiration of her interpretive perspective. Leibovitz was an active participant in the creative communities she documented. Inserting herself in the scene and amongst the subjects she photographed resulted in close personal connections, sometimes at the risk of her own health and safety. Leibovitz has a distinctive ability to capture the essence of a moment, to perceive details otherwise neglected that communicate an alternative vision of a scene, event, or person. Leibovitz has shown in international museum exhibitions, and received numerous photographic awards, yet most of her work is accessible and was originally published in commercial venues. The blending of fine art and popular contexts lends her work a unique cultural cachet. Born Anna-Lou Leibovitz in Waterbury, Connecticut in 1949, Annie, as she has become known, grew up in an idyllic middle-class family. The third eldest of six children, she was raised by parents of eastern European and Jewish descent. Her mother, Marilyn, was a modern dance instructor who instilled in Leibovitz a passion for art, including dance, music, and painting. Her father, Sam, was a lieutenant colonel in the US Air Force and, as a result, the family moved around frequently during Leibovitz's childhood. Her family credits her success as a photographer to growing up seeing the world through a car window.